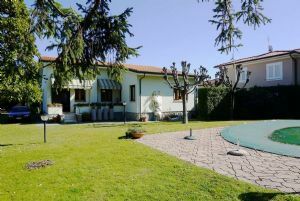 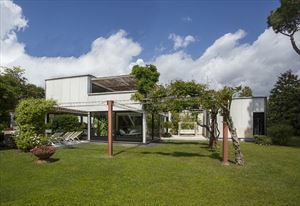 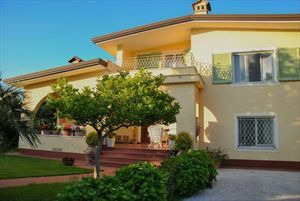 Single villa (270 sqm) with a 700m garden, located in the central area of Forte Dei Marmi, just 900m distant from the sea. 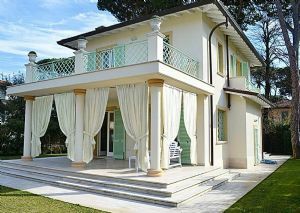 It is provided with air conditioning, alarm system, Wi-Fi internet, mosquito nets in each bedroom, safe, satellite TV, and an automatic gate. 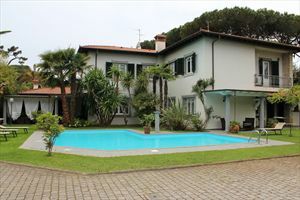 The property is also equipped with a private parking zone for 2 cars. 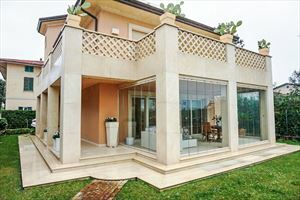 Ground floor: 2 covered terraces provided with dining table and summer furniture, a dining room, a kitchen, a double bedroom (provided with a bathroom with shower), another double room (provided with a bathroom with shower too). 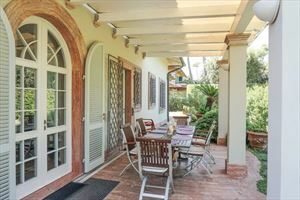 Firtst floor: a double bedroom with bathroom and balcony, a bathroom with shower and another double bedroom provided with a covered terrace.